Small - $49.99 Only 1 left! 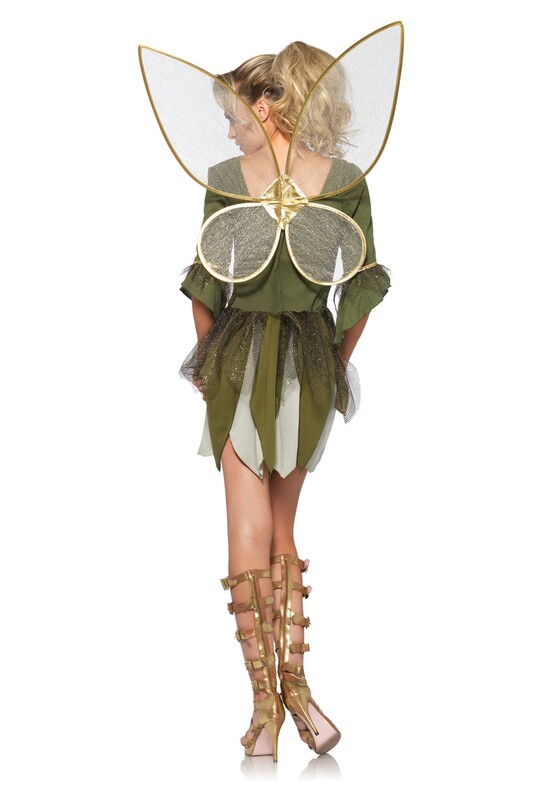 We all know that Tink is a little hot tempered. She can be quite destructive when she feels strongly about something. And let's be honest, she always feels strongly. Because of how tiny she is, she can't actually feel more than one emotion at a time, therefore making any emotion she feels incredibly strong. But over time she, like you, has grown a little, and now she can feel lots of things at once. And boy does she feel a little rebellious right now. A man with funny hair is trying to take over her homeland. He keeps coming to shore to map out the region, and relive Peter Pan of his life. Because of that man, Tink needs to focus her rebellious feelings on removing that man from her island. Now you can help her kick that man out of Neverland. By putting on this Women's Rebel Tink Costume you are becoming part of an effort to oust the funny haired man from the magical island. 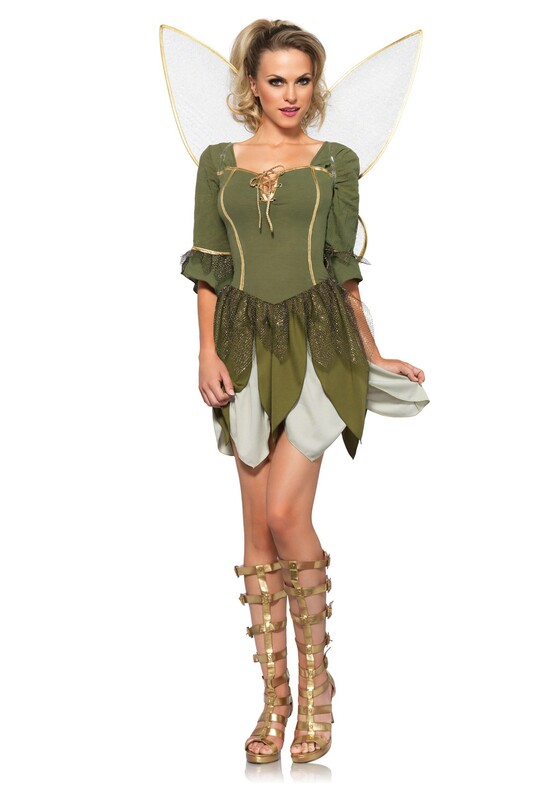 This costume comes in forest green to make fairy sneak attacks easier, and more effective against the pirates coming to find Peter Pan. You will be flying around keeping track of the pirates progress. No one will ever be able to say that you, or Tink are too small to feel all the things you do. You will show them that there is a lot to a rebellious woman. Fly safe, and stop Hook from taking Neverland.